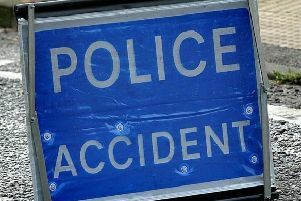 A woman died after crashing into a bridge in Sussex earlier this morning (Sunday, July 24) and a man was arrested on suspicion of causing death by dangerous driving. Emergency services were called to the A24 Horsham Road northbound carriage near Washington after reports of a crash at around 5.40am. A car had hit a bridge and a 26-year-old woman was pronounced dead at the scene, according to police. A man was arrested on suspicion of causing death by dangerous driving. “Police are appealing for any witnesses who may have seen a grey Ford Focus on the A24 shortly before the incident,” a police spokesman said. Alternatively, contact the independent charity Crimestoppers anonymously on 0800 555 111 or visit www.crimestoppers-org.uk. South East Coast Ambulance Service sent two response cars and two ambulances to the incident. The road was closed northbound between Findon roundabout and The Pike, but there is still slow traffic in the area, according to BBC Travel.